Imagine trying to go to college or look for a professional job in this day and age without knowing how to use a computer! 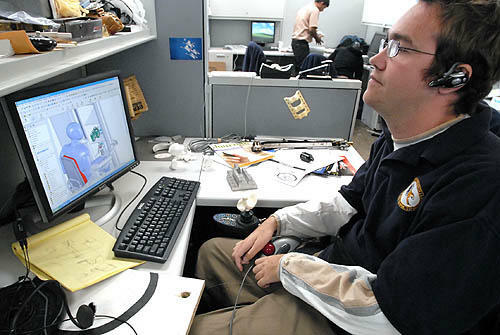 Entire industries are devoted to developing software and hardware that make it easier for people with disabilities to use the computer. People with visual impairments, neuromuscular disorders and other disabilities are now able access the computer through the wonders of computer-based assistive technology. But in order for these software programs to have any meaning, a person with a disability has to have one very important piece of equipment — the computer itself. 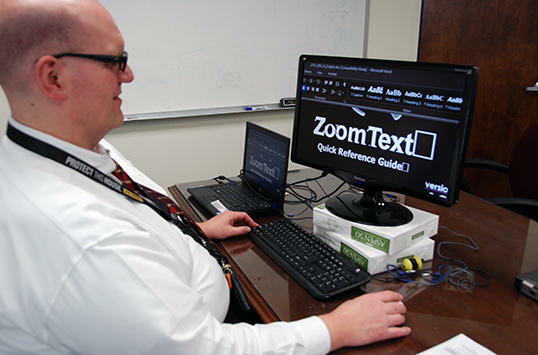 Assistive Technology of Ohio has a statewide program that helps people with disabilities obtain their own computer. Knowledge of how to use a computer, the Internet, e-mail and social networking (examples: twitter, facebook, linked-in) are becoming fundamental basic skills necessary for community living, employment and education. Recent studies have shown that, due to financial considerations, people with disabilities are among the most likely group of people to not own a computer. People with disabilities — those who can benefit the most from owning and using a computer — are often the most likely not to be able to afford one. Contact AT Ohio first at 866-801-7306 (toll free) or 614-688-3222 to find out the availability of computers or to request an application. To participate in the program you MUST submit an application packet which includes an application form, a participation agreement form and a Disability Verification Letter (not a form).The disability verification letter should be signed by a professional such as a doctor, rehabilitation counselor, case manager, school principal, special education teacher, guidance counselor, etc., on their business, school, or organization letterhead verifying that the consumer qualifies as a person with a disability as defined by the American with Disabilities Act. (Please DO NOT send IEP documents, medical histories or Social Security benefit information.) The signee of this letter is also verifying that the person is a legal resident of the state of Ohio. To obtain copies of the application forms, please download them below in either pdf or word format. Copies of the forms can also be obtained by contacting Assistive Technology of Ohio at 866-801-7306 (toll free) or 614-688-3222. NOTE: DO NOT send any money until you have been contacted by AT Ohio and received instructions and confirmation on computer availability. There is a waiting list, and computers are shipped accordingly. Any legal Ohio resident with a disability and a need for a computer is eligible for the program. The program is also open to families who have children with disabilities, as long as the computer is used primarily by the child. Computers are limited to one per household. Because requests for computers usually exceed our supply, persons receiving computers cannot request another computer for three years. What Type of Computer Will I Receive? Because the AT Ohio Computer Redistribution Program accepts various types of computer donations, we cannot fulfill requests for particular brands. Our minimum specifications are as follows: 1 gigahertz (GHz) processor or faster/newer, 40 gigabytes hard drive, 512 megabytes of RAM, modem (if needed), CD drive, flat-panel monitor, speakers, keyboard and a mouse. We do not and cannot make special accommodations with regards to RAM, hard drives or processor speeds. Each computer comes with either a LINUX-based or a Windows™-based operating system and a compatible open-soure office suite. Please note: Although we solicit and accept laptop computer donations, we rarely have laptop computers in stock. We do not keep a separate laptop computer waitlist. By applying to our program, you are applying for a desktop computer. If you want to make a request for a laptop, you will receive one if one is available, when you reach the top of the waitlist. More than likely, you will receive a desktop computer. In addition, we accept Macintosh computer donations; however, they are rarely in stock and will be distributed when available. AT Ohio currently does not have an agreement with Apple to distribute Mac OS operating systems. The cost of the program to consumers is $60. DO NOT send any money until AT Ohio notifies you that a computer is available for you. AT Ohio cannot accept debit or credit cards. Payment must be a check or money order. How Long Will It Take For The Computer to Arrive? Once the application and all other accompanying information is received, you will be placed on a waiting list. Please be patient, as the waiting list can be long. The amount of time to receive a desktop computer can vary from a few weeks to several months, depending on the number of computers in stock and the donations of computers received.